Superheroes have always ruled the day and they also rule the night – Halloween night that is. Avengers costumes are set to be all the rage this year. All through history, there has been a superhero of some kind that people could read about, admire and want to be like by wearing a costume that was similar. The Avengers are a group of superheroes that have been around for almost 50 years now – and their popularity is still growing – especially since the release of the blockbuster movie The Avengers. Each of the heroes portrayed in the movie are part of the team that fights evil and restores order to the world. 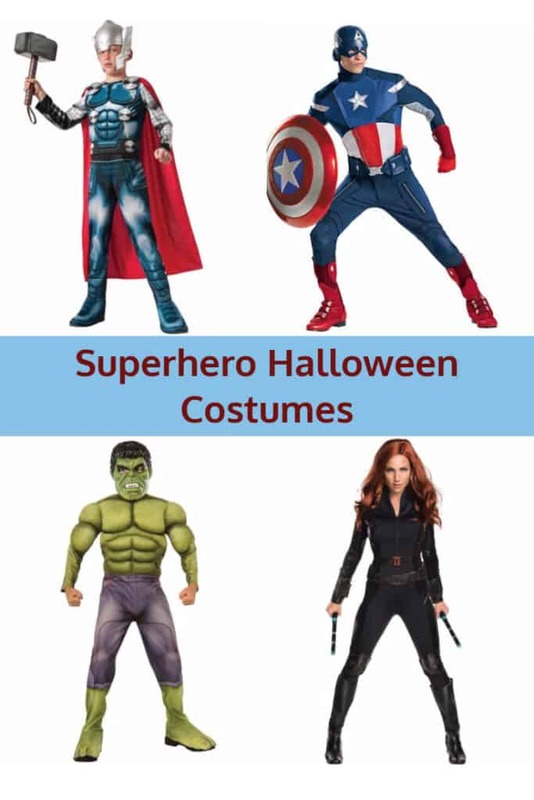 The Avengers costumes for each of these fascinating heroes are always bestsellers. One of the notable superheroes is Iron Man, played in the movie by Robert Downey Jr. The red and gold jumpsuit like the outfit he wore in the movie is available online and is very realistic. You can get the gloves, complete with the powerful left-handed glove and the palm light. There’s also a red and gold mask that goes with the jumpsuit. However, for people who don’t want or don’t like to wear masks, there is an alternative. You can buy the face tattoo. This is a tattoo that comes already pre-designed so that there’s no guesswork for the child or the adult. The tattoo isn’t permanent and is easy to take off. You can also find other accessories for this costume, such as sound or missile accessories. 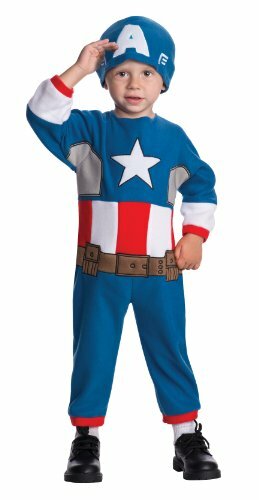 Captain America is a big favorite among the Avengers’ team and his costume is the form fitting blue jumpsuit with the white star on the top center of the chest. 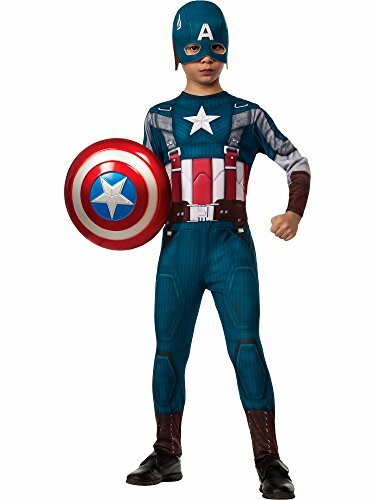 The costume comes with the headpiece like the character wore in the movie, but the red boots, gloves and red and white striped shield with the star in the middle are all sold separately. 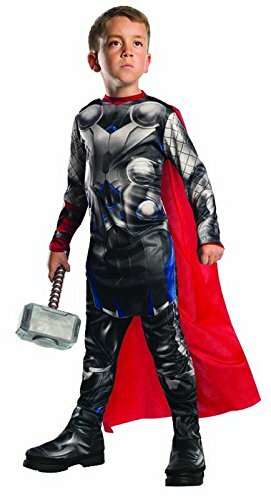 The Thor costume is a jumpsuit that comes with a red cape and the hammer isn’t included. But you can also get the version of this costume that comes with a sculpted muscle piece that has LED lights attached to the chest plate. It looks pretty awesome in the dark. 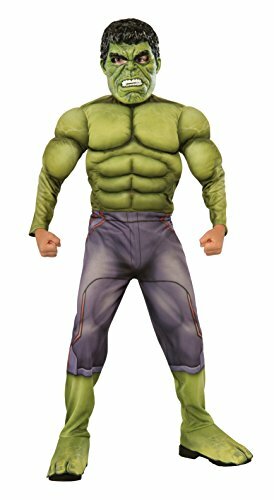 The Hulk costume from the Avengers is a jumpsuit that’s the perfect depiction of the Hulk’s green coloring. The suit has the muscled chest area as well as the large muscled arms. It also comes with a replica face mask. 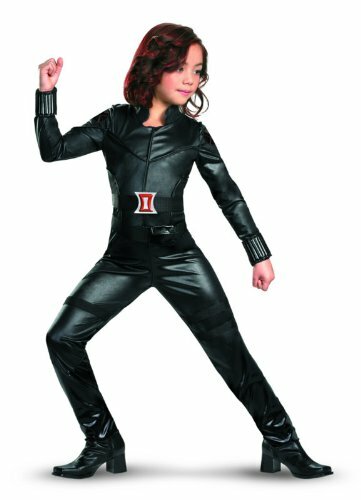 The Black Widow costume is available as a one piece jumpsuit that includes a set of wrist cuffs. You can get this costume in child or adult size as well. 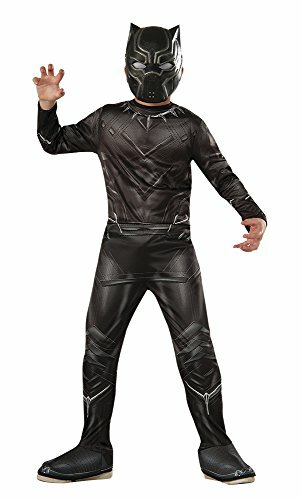 All of the Avengers costumes are created to resemble what the movie version shows and both children and grown ups alike will enjoy wearing them.